Yes, it is possible and here is the proof. 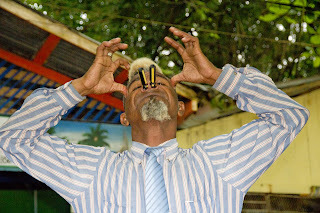 While we were drinking rum and eating fish on the beach, I paid for this travelling magician to show us some tricks. I didn't expect him to pull out two screwdrivers and promptly whack them into his sinuses. This what not something I wanted to see since my stomach was already feeling a little queasy from all the beachy sun and sea time. He also swallowed two bullets and regurgitated them back up. Pretty impressive but I probably could do that if I really tried. And Steve-O did that with live goldfish so I felt like I had seen it before. And he also threaded a lot of string through his nose which I thought was a bit of a filler act. He did something with fire too. I think he juggled it or something. I normally would remember but there was a girl beside me and she was very distracting. And not in a good way. If you want to see him, he's pretty easy to find. 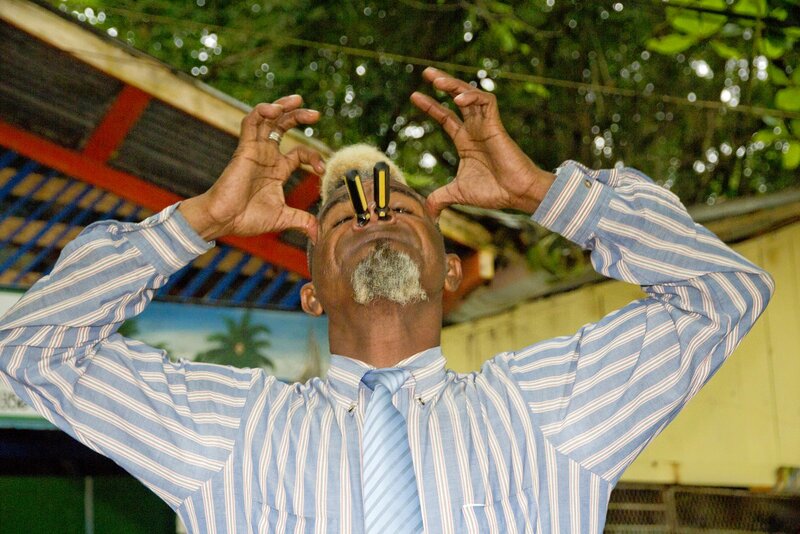 Just keep your eye out for him along the Sosua Beach in the Dominican Republic. According to my dad, he's been walking around there for at least the past ten years, possibly longer.